Got milk kefir? Not sure what to do with it? Here are 70+ ways & recipes to use it. How to make milk kefir. There are a lot of recipes around the internet for using the fermented milk product, kefir so I thought I would make a big list to help inspire you to use kefir and not get bored with using it, if it’s a part of your diet. The easiest way and tastiest way, to me, is to make kefir is in a smoothie or to serve kefir with berries. Yesterday I showed you a simple and delicious recipe for milk kefir. 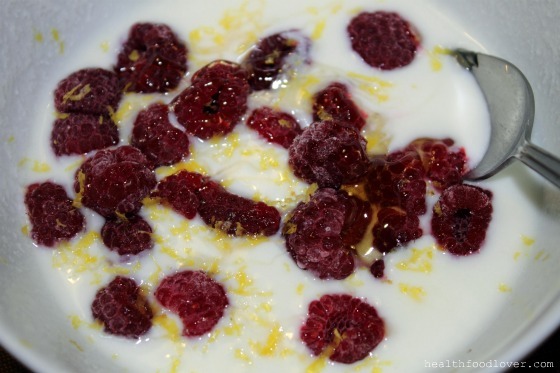 This milk kefir recipe was raspberry and lemon flavoured– delicious! 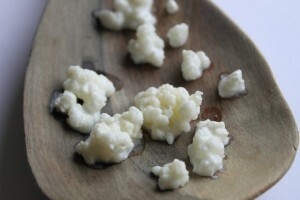 I would recommend it as a great simple recipe for those new to kefir. Now, below I present to you the largest list I could make of kefir recipes from around the web! If you know any great recipes I haven’t linked to please let me know and I’ll add it to the list (as long as it isn’t too similar to any listed recipe). Please note: that even though these recipes contain kefir, other ingredients in the recipes may not be the healthiest, so use your best judgment and substitute for healthier ingredients where you can. Kefir Smoothie: Frozen Summer Fruit Delish!